Prussian Order of the Crown Medal, awarded for Red Cross work, gilt and enamel cross, blue ribbon, by H. and S., Prussia (area now mainly in Germany and Poland), 1861. Roughly oblong silver badge with button and ribbon, commemorates a health-giving spa in France - and Dr. A. Davis, designed by Desvergnes, made by Gaudin and Dubray, 9 Quai Valmy, Paris, France, 1880-1930. Lapel badge, cardboard, fund raiser for reconstruction of homes in France, destroyed by the War, 1914-1917, Appeal days, 21-22 May 1917, made by Ehrmann, Paris, France, 1917. 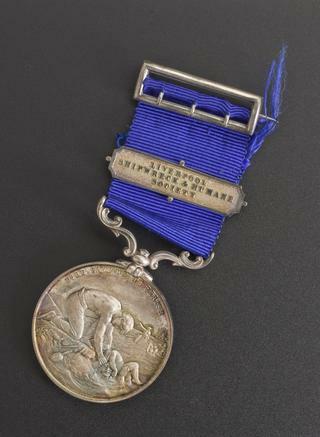 Lapel badge, oval, cardboard, silk ribbon at top, fund raiser for War, Day of the French Army in Africa and the Colonial Troops, campaigns from 1914-1916 listed, by Chambrelent, Paris, France, 1916-1917. 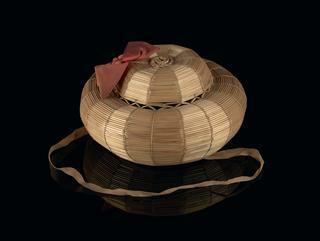 Two lapel badges, generally circular, carboard, small ribbon at top, fund raisers for War, on Day of the City of Paris, 14 July 1915, made by Devambez, Paris, France, 1915. Lapel badge, cardboard, roughly oval, fund raiser for War, Day of the French African Army, and the Colonial Troops 1917, campaigns from 1914-1916 listed on reverse, by Chambrelent, Paris, France, 1917. 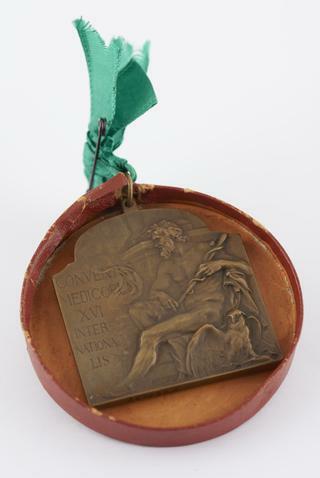 Lapel badge, oval, cardboard, fund raiser for National Orphans' Day, 1914, 1915, 1916, made by Devambez, Paris, France, 1916. 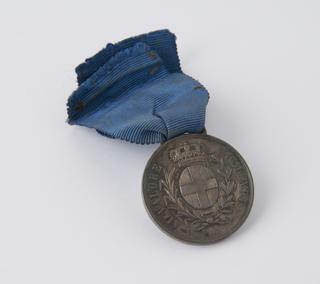 Silver medal with silk ribbon, awarded to the Italian Red Cross for services rendered during the Messina Earthquake, made by Stabilimento SPa Stefano Johnson, Milan, Italy, 1908-1909. Diamond shaped lapel badge, cardboard, ribbon strip at top, fund raiser for Orphans' Day, 1914,15,16, made by Devambez, Paris, France, 1916. Two lapel badges, oval, card, for membership of National Day of Tuberculosed War Veterans, worn by members of the Association of French women, made by Chambrelent, Paris, France, 1917. Lapel badge, cardboard, octagonal, fund raiser for War, Soldiers' Days, 25 and 26 December, 1915, made by I. Lapina, Paris, France, 1915. Lapel badge, oval, cardboard, silk ribbon at top, fund raising badge, on National Day for Tuberculosed War Veterans, made by d'Abel Faire and Devambez, Paris, France, 1917-1918. Lapel badge, cardboard, silk ribbon, oval, fund raiser for National Day of Tuberculosed War Veterans, made by Chambrelent, Paris, France, 1917-1918. 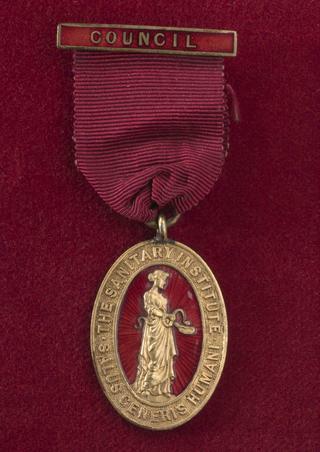 Lapel badge, cardboard, narrow ribbon on top, fund raiser for National Day of Tuberculosed War Veterans, by Levy-Dhurmer and Devambez, Paris, France, 1914-1917.